How Much is a Mercedes-Benz Van? The Mercedes-Benz Sprinter and Metris lineups offer a variety of different van configurations, each offering unique features that cater to your Merced business’s needs. Each van comes at different price points as well, depending on the vehicle’s specs and features. Learn more about the Mercedes-Benz van prices below, then visit us at Mercedes-Benz of Modesto to browse our inventory of Mercedes-Benz vans in person! When a technician upfits your vehicle, they’re adding features like shelving, a cooling system, or extra seating to the van. Contact one of our service specialists at Mercedes-Benz of Modesto to learn more about our upfitting options. Interested in a commercial van for your Stanislaus business? Contact us or visit us in Modesto to learn more about our Mercedes-Benz van inventory and to set up a test drive with one of our models. While you’re at our dealership, be sure to ask about the Mercedes-Benz Airstream! 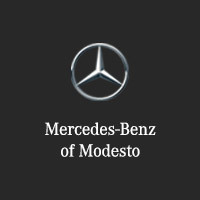 More from Mercedes-Benz of Modesto! How Much Do Mercedes-Benz Vehicles Cost? Where Are Mercedes-Benz Vehicles Made? 0 comment(s) so far on How Much is a Mercedes-Benz Van?